I could never quite get into the original Risk of Rain. Hopoo’s debut was a pixelated smash hit, but the distance I was kept at from the protagonist prevented me from really feeling like I was in the thick of the action. That’s why, when I launched into my first gauntlet in the sequel, I realised its potential immediately. 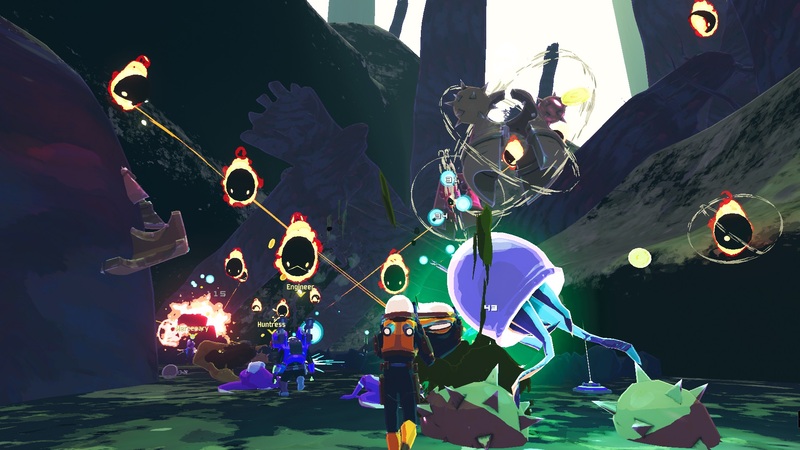 Risk of Rain 2 expands the scope of the original’s ambitious roguelike premise by simply changing the camera angle. Due to its shift into over-the-shoulder 3D, we now have a crunchy third-person shooter framed against a backdrop of lush biomes. Each mission starts the same. You hop into an expansive level that’s hiding a teleporter, which you need to activate and defend to progress. All the while, a difficulty bar is ticking away in the top-right corner, moving from easy to impossible. The final difficulty setting is called ‘HAHAHAHAHAHA’, which I interpret as the sound of Death cackling maniacally at your futile scramble for survival. The chaos you’re accustomed to from the first game is still present, then, but now it comes with a 3D art style and a metagame that makes the game even harder to put down. I quickly forgot that there’s no linear progression system, as I was always distracted by one of my wider goals – to pop an achievement or grind for special currency so I could pick up the next playable character. One metagame task asks you to find hidden button switches to unlock a secret cove. Another wants you to race through your playthrough, skipping valuable loot so you can unlock a chest with a timer that starts ticking as soon as you press play – take too long and it’s gone forever. Much like The Binding of Isaac, these optional tasks force you to think about other goals while you feed into the core gameplay loop. It’s a clever distraction from the monotony that comes as part of the roguelike format. This, and the option to take on the alien scourge in four-player co-op, distances Risk of Rain 2 quite comfortably from its competitors. It’s an adrenaline-pumping delight in multiplayer that lets each person in your group try to excel in one of the game’s designated playstyles. There’s the Mercenary with a laser sword who has an extremely limited range but high mobility. Pair that with the Huntress, a DPS machine that uses lock-on targeting and bouncing glaives, and you can deal with multiple enemies at different ranges no problem. Both are complemented by the Engineer, a defensive class that can drop an impenetrable shield and two turrets to create a sanctuary for more aggressive players. I’ve not even touched on the loot system, which creates a refreshing sense of co-op politics as you war with each other over build synergy and decide who deserves what item. To be clear: you earn cash in Risk of Rain 2 by defeating aliens and can then spend it on boxes and shrines. Boxes range in rarity and each will drop an item that will help pack out the inventory bar at the top of your screen. Shrines are a little more temperamental, capable of increasing the difficulty of a level, offering a means to exchange your health for money, or might just give you a simple slot machine that has a chance to drop rare items. In each biome, you can work to spawn a portal that will take you to a set of fractured dimensions after you wipe out the final boss. This includes a bazaar where you can spend special lunar currency and a gold coastline with a tough boss that drops a legendary item. Hopoo clearly delights in designing items that prod the boundaries of its violent sandbox. One example is an item that gives you an extra use of your active ability, which means if you find multiple of them, you can pop your devastating ultimate as much as you like. In one playthrough, I had a set of strike drones I could unleash on my enemies to turn them into paste as I scoured the floor for extra chests. With multiple uses of my ability, I could unleash thousands of my drones into the fray and sit safely in my bubble shield, letting my minions do the work as my graphics card furiously weeps. Yet, eventually, I still got destroyed by a giant ball of fire when, consumed by greed, I ventured out to snag a chest while my friends floundered against the aliens. 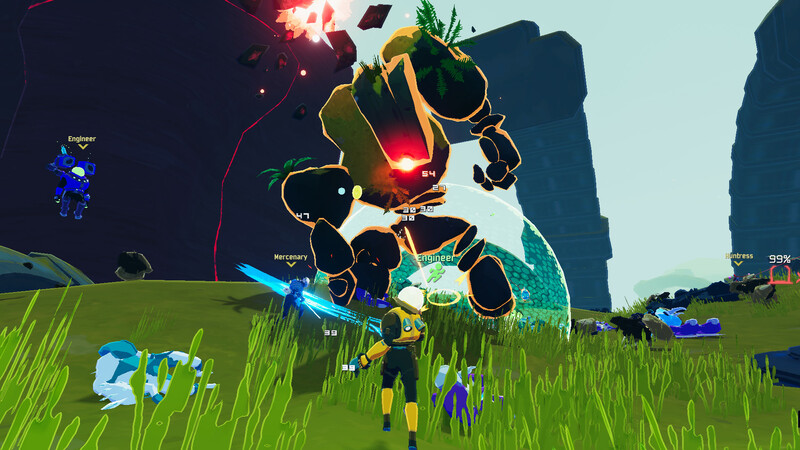 It’s a power trip, but Risk of Rain 2 doesn’t turn you into a god, and you’re going to come up against an unstoppable force no matter what. 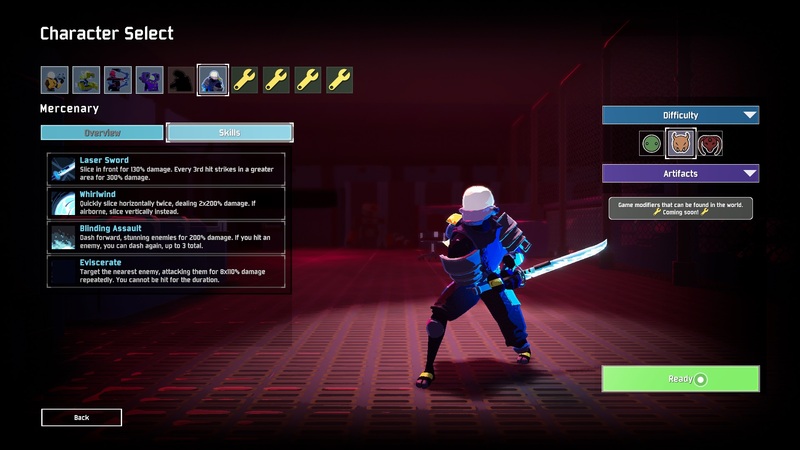 As of right now, its position in Early Access means that there are tons of features still making their way into the game, like modifiers and extra characters. 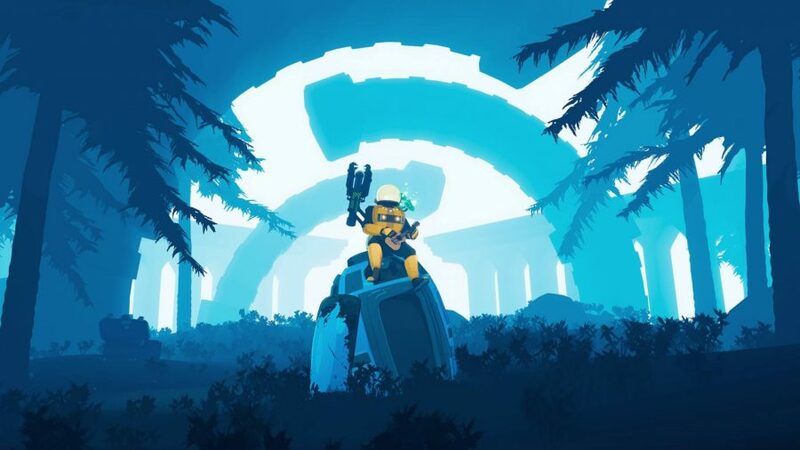 But that doesn’t stop Risk of Rain 2 easily being one of the most feature-filled and outright fun Early Access offerings I’ve ever played. It is well deserving of your time, especially if you’re looking for your co-op shooter fix ahead of Borderlands 3.